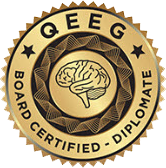 Dr. Lemare-Calaba is a Licensed Clinical Psychologist, Board Certified Quantitative EEG (QEEG Brain Mapping) Diplomate and Neurotherapy specialist. She has over twenty years of experience as a psychotherapist working with children, adolescents, adults, couples and families. 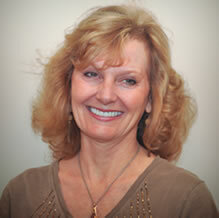 Dr. Lemare-Calaba holds a Doctorate of Psychology from Pepperdine University. Her background includes health psychology, pain management, psychological and neuropsychological assessment, trauma, dissociation, posttraumatic stress, severe mental illness, child and family therapy, crisis management and substance abuse. She is trained in Neurotherapy and QEEG Brain Mapping by Barry Sterman, Ph.D. (founder of neurofeedback), Joel Lubar, Ph.D and Nicholas Dogris, Ph.D. (founder of Neurofield). Dr. Lemare-Calaba belongs to the American Psychological Association (APA.) She is a Senior Fellow and Mentor for the Biofeedback Certification International Alliance (BCIA) She is a veteran member of Allan Schore, Ph.D.'s Los Angeles study group in developmental neurobiology. Originally trained as a musician, Dr. Lemare-Calaba is the creator of Musical Overtone Feedback, an experimental method of listening that is based upon the physics of sound. Tones for Musical Overtone Feedback are selected from the Library of Musical Overtone Sounds professionally recorded by Dr. Lemare-Calaba. Dr. Lemare-Calaba is an author and teacher who speaks internationally and supervises interns in psychotherapy and neurotherapy. 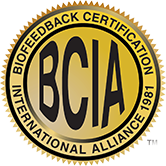 By offering treatment options of Psychotherapy, Biofeedback, Neurotherapy, QEEG Brain Mapping and Musical Overtone Feedback, Dr. Lemare-Calaba helps many clients whose problems might be unresponsive to one therapeutic approach alone.